I want to switch up my dining room decor for Thanksgiving. 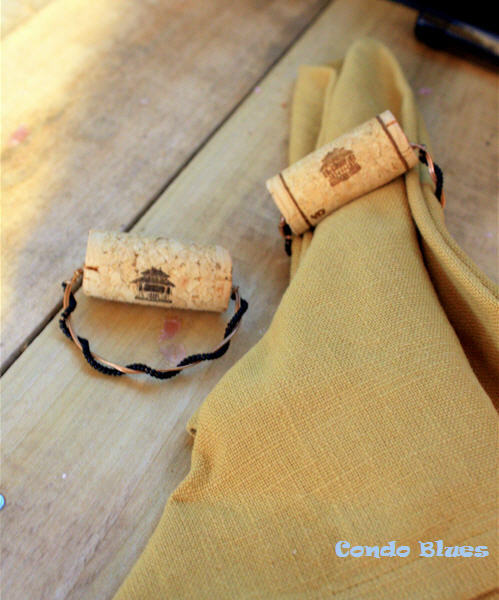 One of the easiest and cheapest way to do that is to decorate with fall colored napkins and napkin rings. The cloth napkins I have. The cute fall napkin rings I do not. 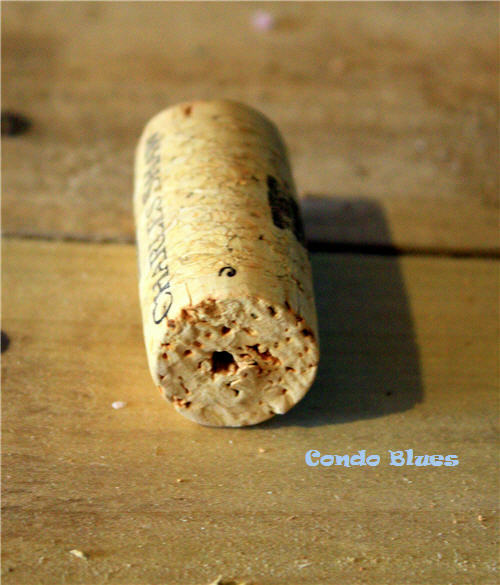 I have a TON of wine corks in my craft room, just waiting for a crafty wine cork project. 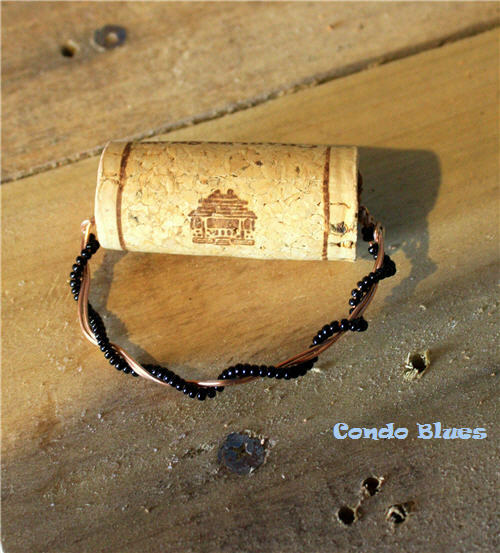 Time to get my upcycling on and recycle some of the corks into handmade napkin rings! This is a quick little project you can do for yourself or make and give them to someone as a homemade gift. Christmas is just around the corner you know! 1. 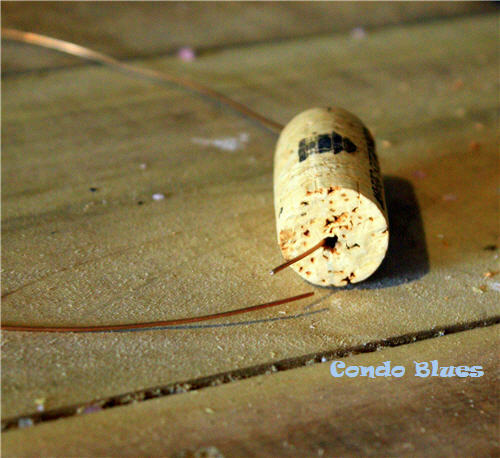 Use the drill and drill bit to drill a hole through the center of the wine cork. We mull an embarrassing amount of Two Buck Check during the winter. 2. 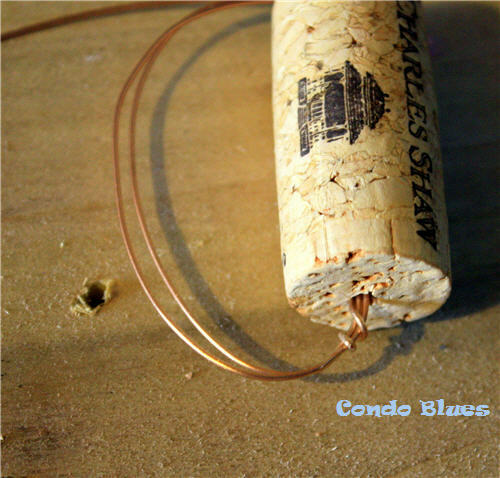 Thread the copper wire through the wine cork leaving a tail of wire approximately 1/2 inch long on one side. 3. 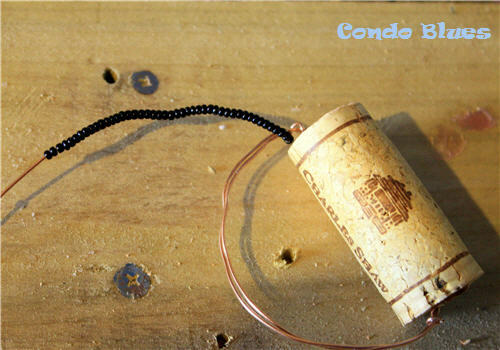 Thread the long tail of wire though the hole in the wine cork twice creating a loop of wire large enough to hold a napkin. I used a napkin ring I already had as a guide for me loop hole. 4. Wrap the short tail of wire around the large loops of wire to hold it into place. You might need to needle nose pliers to do this. 5. Thread the seed beads on the long tail of wire. 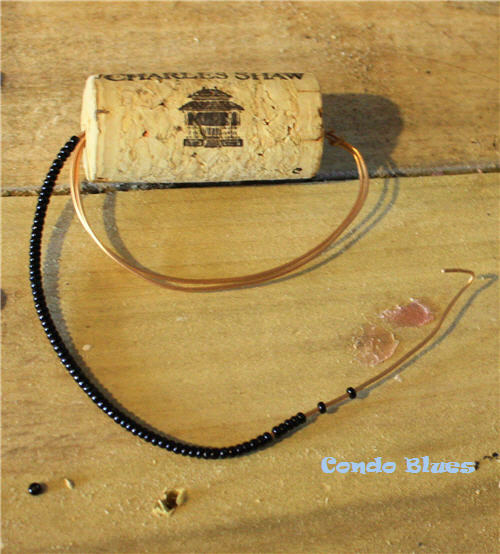 Tip: Bend a temporary hook or loop in the end of the seed bead wire to keep the beads from falling off while you are bending the wire. 6. After the wire is full of beads, wrap the beaded wire around the large wire loops. 7. Wrap the unbeaded end section of the long beaded tail of wire around the large loops of wire like you did in Step 4 to hold it into place. You might need to needle nose pliers to do this. 8. Crimp the wire wrapped area of the napkin ring with the needle nose pliers to secure it. 9. 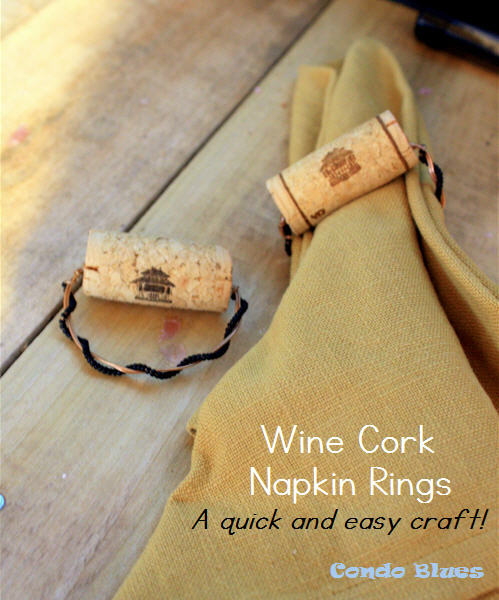 Slide a napkin into your crafted wine cork napkin ring and sit down to eat!